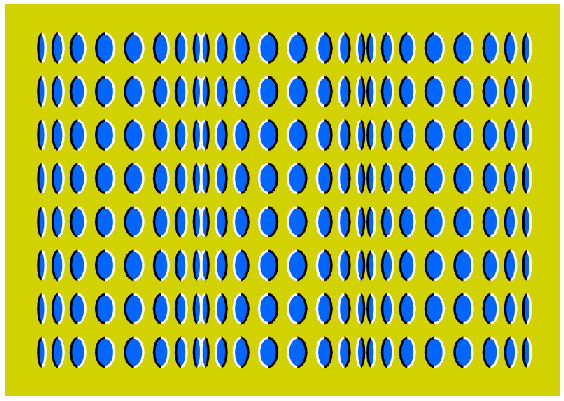 moving optical illusion. this image doesn't actually sposta and it was not computer animated. Wallpaper and background images in the Unbelievable club tagged: optical illusion art moving. Haha. I can see it moving. I love such pics. This has to be one of the best moving pics I've ever seen--mainly because the cylinders actually seem to be rolling around rather than the picture just being a load of dots that make your eyes hurt.